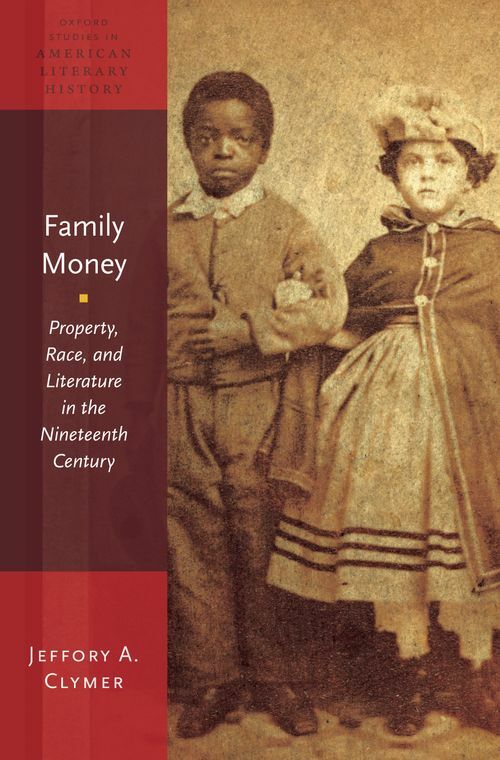 Family Money explores the histories of formerly enslaved women who tried to claim inheritances left to them by deceased owners, the household traumas of mixed-race slaves, post-Emancipation calls for reparations, and the economic fallout from anti-miscegenation marriage laws. Authors ranging from Nathaniel Hawthorne, Frank Webb, Harriet Beecher Stowe, Charles Chesnutt, to Lydia Maria Child recognized that intimate interracial relationships took myriad forms, often simultaneously-sexual, marital, coercive, familial, pleasurable, and painful. Their fiction confirms that the consequences of these relationships for nineteenth-century Americans meant thinking about more than the legal structure of racial identity. Who could count as family (and when), who could own property (and when), and how racial difference was imagined (and why) were emphatically bound together. Demonstrating that notions of race were entwined with economics well beyond the direct issue of slavery, Family Money reveals interracial sexuality to be a volatile mixture of emotion, economics, and law that had dramatic, long-term financial consequences. Jeffory Clymer is Associate Professor of English at the University of Kentucky and the author of America's Culture of Terrorism: Violence, Capitalism and the Written Word (University of North Carolina Press, 2003).